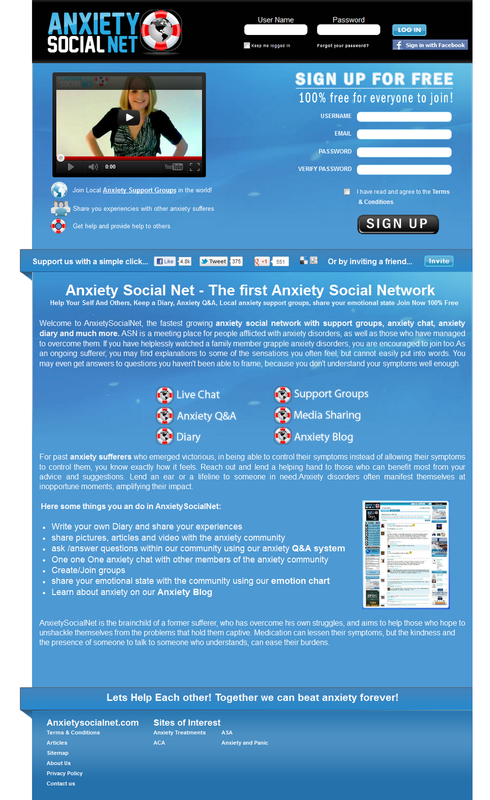 The first Anxiety Social Network, Anxiety Social Net, has launched. ASN is a meeting place for people afflicted with anxiety disorders, as well as those who have managed to overcome them. If you have helplessly watched a family member grapple anxiety disorders, you are encouraged to join too.As an ongoing sufferer, you may find explanations to some of the sensations you often feel, but cannot easily put into words. You may even get answers to questions you haven't been able to frame, because you don't understand your symptoms well enough. AnxietySocialNet is the brainchild of a former sufferer, who has overcome his own struggles, and aims to help those who hope to unshackle themselves from the problems that hold them captive. Medication can lessen their symptoms, but the kindness and the presence of someone to talk to someone who understands, can ease their burdens. It's free to join. And I'm giving it a try because I hope there will be others who understand my emotional state and perhaps I can help a few folks too. If you do join, you can connect with me here. And I started a group for survivors of abuse and domestic violence.